We have chosen a wide selection of flower bouquets to display on our website, and you can browse various flower bouquets to choose from for an upcoming occasion. Each flower bouquet is available for delivery to all locations and will be hand arranged and delivered by professional local florists. On Flowers.com.mt, there are numerous types of local flowers in New Zealand due to the country unique flora and fauna. You can send fresh New Zealand flowers through our local New Zealand floral shops by selecting and ordering your preferred flowers to be delivered to somebody that you care. You can also use our services, such as the New Zealand flowers same day delivery for sending floral gifts to your loved ones within the same day that you submit your order. 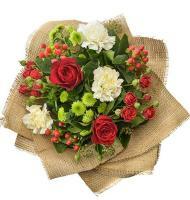 You will continuously have a wide variety of fresh and finest flowers to choose from when using Flowers.com.mt. In order to use our New Zealand flowers same day delivery, the last time for you to submit your order is before 11am to allow our delivery service to send your order on the same day of your demand.